Restoring the dignity and dietary diversity back to families, by giving them the power to chose which foods to take home. 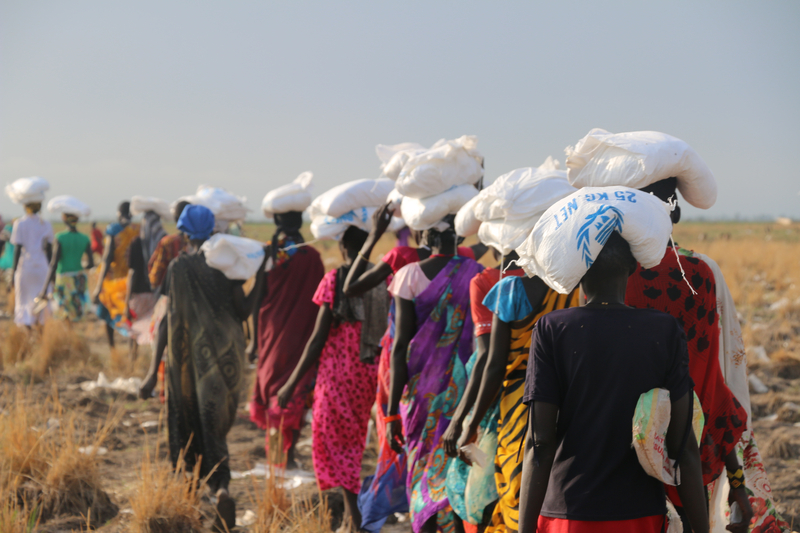 Hunger has many causes and conditions on the ground are constantly changing, which is why it’s vital for WFP to fight hunger with the right tool at the right time. Sometimes, this means providing food directly, often in the form of raw grains, beans and cooking oil that people pick up at a distribution site. WFP might purchase the food in local markets or it can be provided by a donor government. In other situations, local markets are functioning and food is available – people simply can’t afford it. In these cases, WFP provides cash-based assistance in the form of food vouchers and e-cards, which enable families to purchase fresh and locally-grown food. The power to choose groceries for themselves restores people’s dignity and dietary diversity. Cash-based assistance has the added benefit of strengthening local economies, supporting regional food producers, and significantly reducing food costs. WFP can automatically upload funds onto e-cards, so communities in crisis can be reached faster and more efficiently. In other situations, local markets are functioning and food is available – people go hungry because they simply can’t afford it. In these cases, instead of commodities, WFP provides cash-based assistance in the form of food vouchers and e-cards, which enable families to purchase fresh and locally-grown food, including produce, meat and dairy. The power to choose groceries for themselves restores people’s dignity and dietary diversity. Cash-based assistance has the added benefit of strengthening local economies, supporting regional food producers, and significantly reducing food transportation and storage costs. 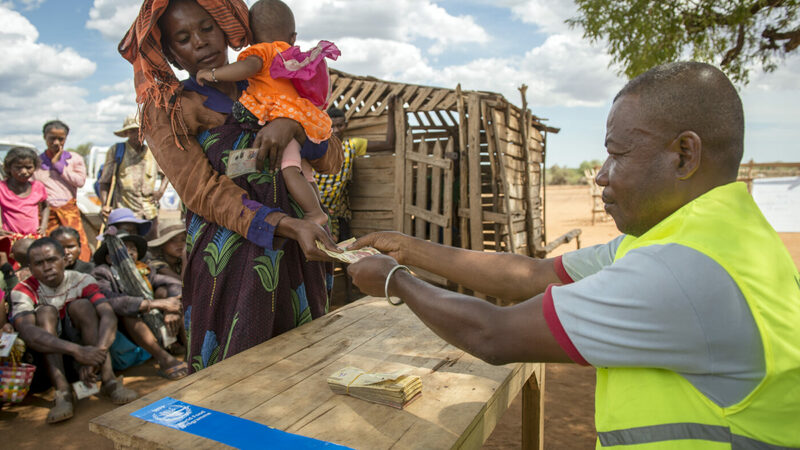 Thanks to e-cards, WFP can automatically upload funds onto what look like debit cards, so communities in crisis can be reached faster and more efficiently. E-Cards can also track food purchases, so WFP can better understand the needs and preferences of the families it serves.